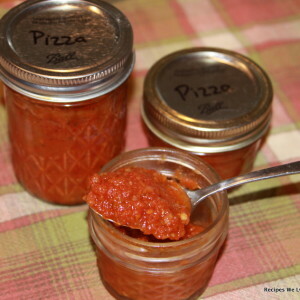 My Son LOVES and I mean LOVES pizza sauce, he will eat a bowl of it for a snack even, and his favorite school lunch is our Homemade Pizza Lunchables so while making pizza sauce takes a LOT of tomatoes and a lot of time it is something very wroth it at our house so we know just what is in what is in one of his favorite snacks. 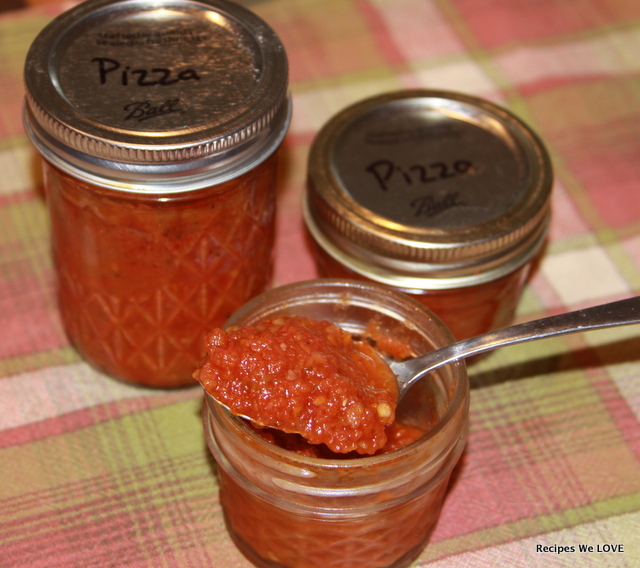 I make the following recipe times 4 when I make pizza sauce. Peel, core and squeeze extra seeds and juice out of tomatoes like this (once peeled and cored I give my tomatos a good squeeze to get extra juice out so the sauce does not have to cook as long). 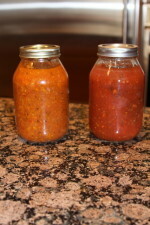 Then run the prepared tomatoes, onions, garlic, carrot, and peppers through the food processor until they are very fine. Then add the vegetables to a large pot along with the rest of the ingredients listed. Simmer 3-4 hours until the sauce is nice and thick. 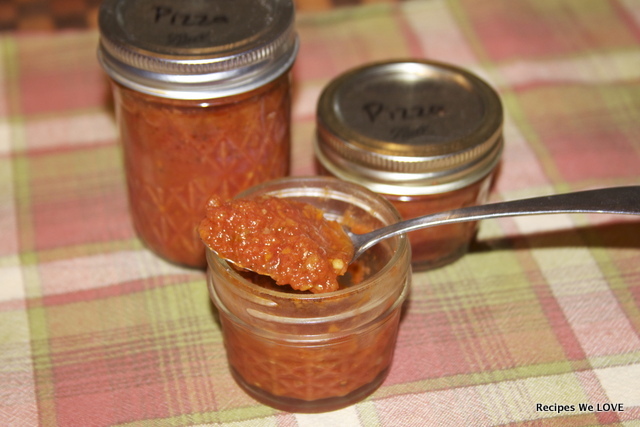 Then add the pizza sauce into sterilized jars leaving 1/2 inch head space and process in a water bath for 25 minutes for pints or in a pressure canner for 10 minutes at 10 pounds of pressure.